The image next to the headline for this post on the index page was actually a lightened up version of what Notch posted to Google+. That handiwork was done by Reddit user 8bitflu. Here it is for a clearer visualization of the new baddies. 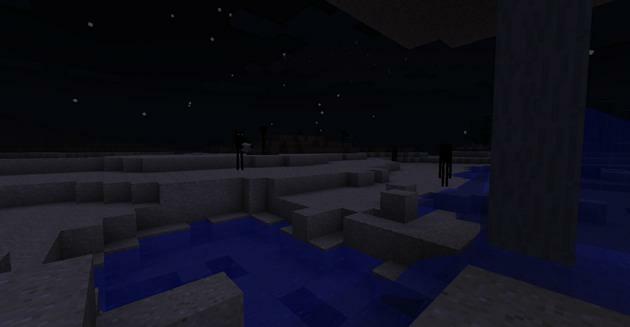 Judging by the image alone, it looks like these creepy mobs will work in packs to either build or dismantle areas. Imagine stumbling on a pack of these weirdos as they’re tearing down a mountain or your home. Yikes. What do you think the Endermen are capable of?